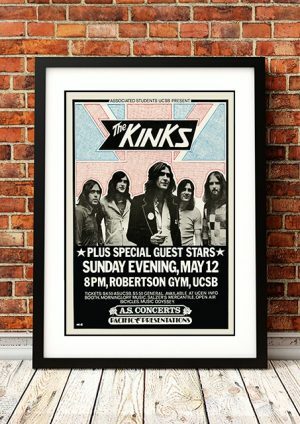 Classic Kinks Band Concert Posters and Memorabilia! Buy Online Now! 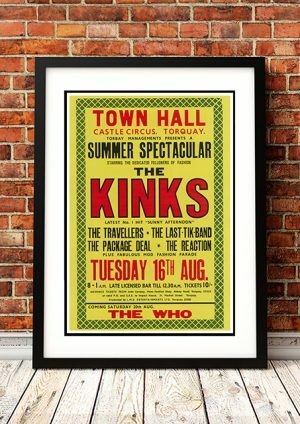 Although they weren’t as boldly innovative as the Beatles or as popular as the Rolling Stones or the Who, the Kinks were one of the most influential bands of the British Invasion. 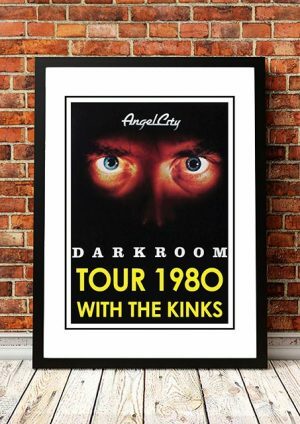 Like most bands of their era, the Kinks began as an R&B/blues outfit. 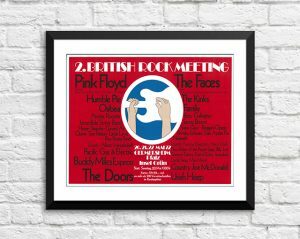 Within four years, the band had become the most staunchly English of all their contemporaries, drawing heavily from British music hall and traditional pop, as well as incorporating elements of country, folk, and blues. 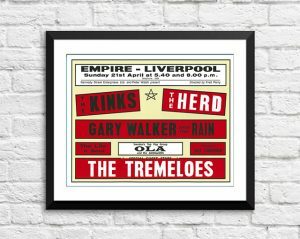 Throughout their long, varied career, the core of the Kinks remained Ray (born June 21, 1944) and Dave Davies (born February 3, 1947), who were born and raised in Muswell Hill, London. In 1973, Ray Davies composed a full-blown rock opera called Preservation. When the first installment of the opera finally appeared in late 1973, it was harshly criticized and given a cold reception from the public. Act 2 appeared in the summer of 1974; the sequel received worse treatment than its predecessor. Davies began another musical, Starmaker, for the BBC; the project eventually metamorphosed into Soap Opera, which was released in the spring of 1975. Despite poor reviews, Soap Opera was a more commercially successful record than its predecessor. In 1976, the Kinks recorded Davies‘ third straight rock opera, Schoolboys in Disgrace, which rocked harder than any album they released on RCA. We stock some awesome Kinks Band Concert Posters.